The USEA’s Young Event Horse Program is a key part to producing future superstars in the sport of eventing. With Young Event Horse symposiums and competitions all over the country, there is ample opportunity to learn about what to look for and how to best prepare your young horse for its career. 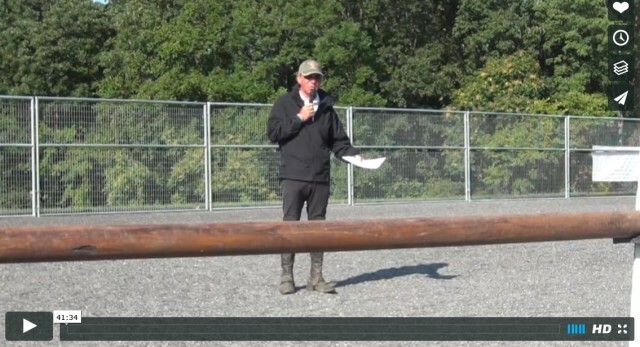 This informative video features instruction on the topic of free jumping. Free jumping is a popular way to showcase scope and footwork that comes naturally to young horses. For those of you on the West coast who are interested in learning more, Dragonfire Farm will be hosting a free jumping clinic in Wilton, California May 21-22. This will be a useful educational opportunity for those interested in the Future Event Horse classes, which will now be asked to free jump in addition to showing in hand. The horse supplements from Kentucky Performance Products, LLC provide solutions to the specific challenges facing your horse. You can count on Kentucky Performance Products to provide affordable, high-quality, research-proven products that carry a 100% satisfaction guarantee. Interested in e-facts about equine nutrition and horse health information? Click here to sign up for KPP’s nutritionalminute: http://eepurl.com/cMPw.